In a bowl whisk together the milk, cream, eggs and vanilla. Heat a large pan over medium low heat. Dip each slice of bread into the egg mixture then press each side into the crushed cereal until well coated. warm in a 250 degree oven while you cook the rest. Serve along with some fresh berries and warm maple syrup. Valentines Day is less then a week away and I am super excited to share with you a whole bunch of love inspired dishes this week. Some people have this hate for Valentines Day because they see it as a “Hallmark” holiday. While yes, it would be lovely to treat your partner all lovey dovey everyday but it doesn’t happen. Valentines Day doesn’t need to mean just chocolate & roses… just do or say something extra sweet that day, enjoy each others company and cook a fabulous meal! I’m starting off with breakfast! I’m going to just say it, this is the best french toast i’ve ever made! 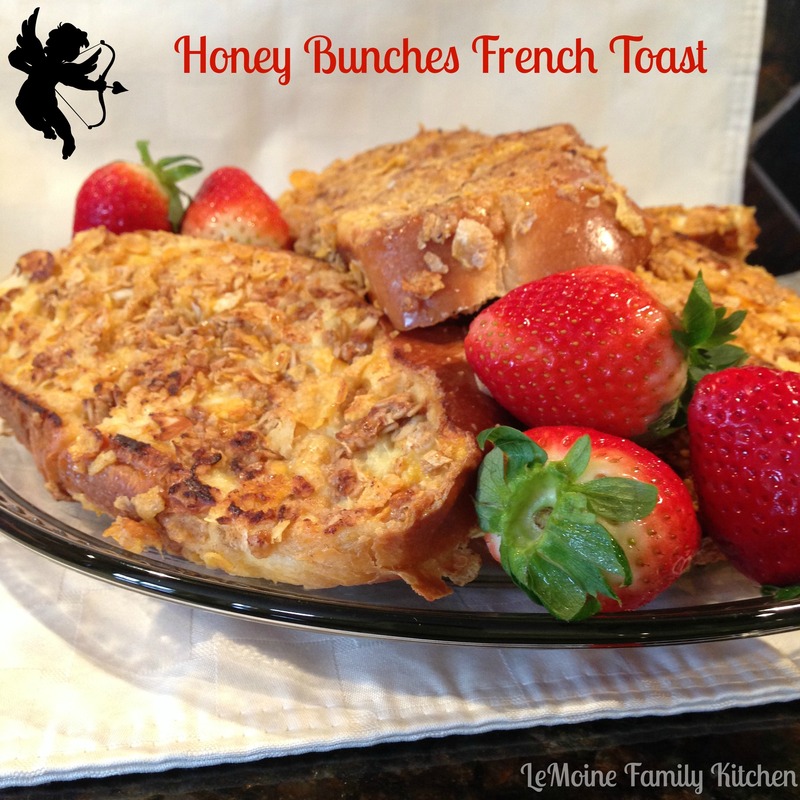 Honey Bunches French Toast combines a couple of my favorite things, challah bread and Honey Bunches of Oats with Almonds cereal. I don’t often eat cereal but when I do, this one is at the top of my list! 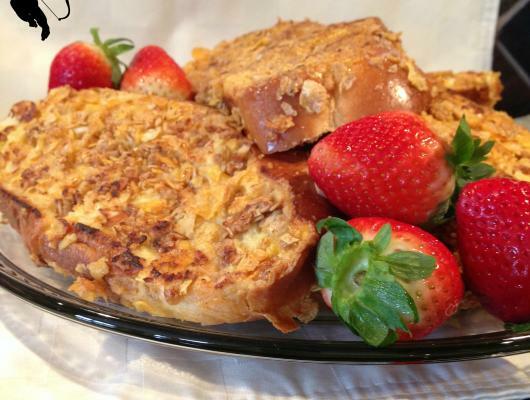 The cereal coated french toast adds so much flavor and crunch to the already amazing deliciousness of challah bread! Top with some fresh strawberries and warm maple syrup and you’ve got yourself a winning breakfast that will start your day with nothing but loving feelings!